Drug Distributors Shipped 20.8 Million Painkillers To West Virginia Town Of 3,000 : The Two-Way Other towns were similarly inundated, in a state that now has the highest rate of drug overdose deaths. 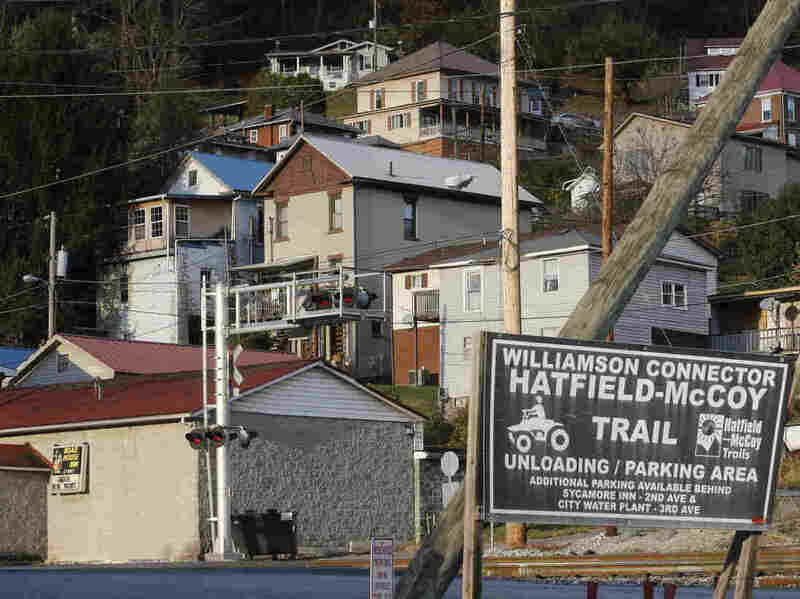 In 2008, one wholesaler provided 5,624 pills for every man, woman and child in Kermit, W.Va.
A House commerce committee investigation found that two drug wholesalers had sent more than 20 million pain pills to two pharmacies in the small town of Williamson, W.Va., seen in 2016. An earlier version of this story referred to the Drug Enforcement Administration as the Drug Enforcement Agency.